As I’ve often said, one of the greatest things about Disney is the treasure trove of characters and rich stories we have to draw upon for the immersive experiences we provide our guests around the world. With Marvel joining the Disney family in 2009, our character and story base grew even further, and the anticipation for how Marvel comes to life in our parks and resorts continues to energize our guests and cast. That’s why it was so exciting earlier today at Hong Kong Disneyland to announce that the very first Disney attraction based on a Marvel character experience will debut in Hong Kong Disneyland. And I’m excited to be able to share some of the initial details with you today about this Iron Man Experience. Audiences around the world have been captivated by the amazing inventions and innovations of Tony Stark and we’re basing this experience within a piece of the Stark Expo. Located in Tomorrowland at Hong Kong Disneyland, the Expo will allow guests to see firsthand the progression of Tony’s Iron Man suits and many other Stark innovations. Upon entering the ride vehicle our guests will be able to take flight with Iron Man on an epic adventure that not surprisingly pits Iron Man, and our guests, against the forces of evil. This adventure will take place in the streets and skies of Hong Kong, which will make an even more unique and special experience for our Hong Kong Disneyland guests. In addition, guests will be able to meet and take photos with Iron Man. 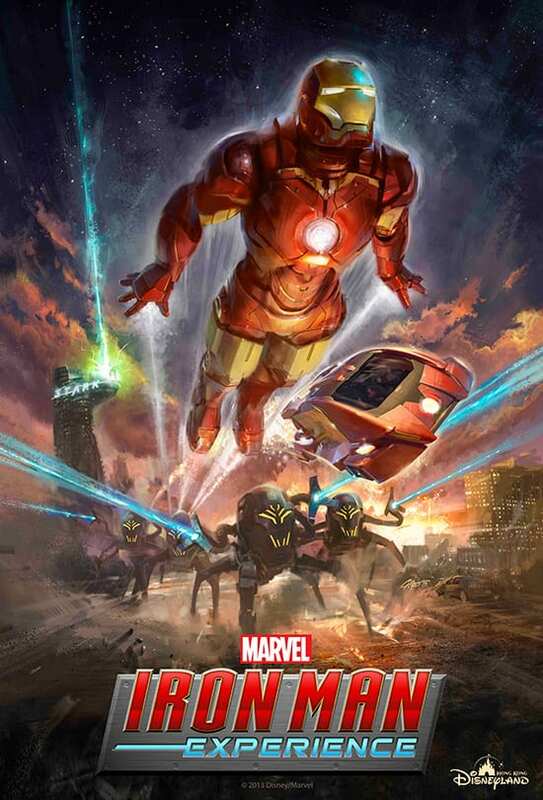 It’s obviously no secret that Marvel’s Iron Man movies are immensely popular, and we expect this experience will emulate the success of our most recent expansion – Toy Story Land, Grizzly Gulch and Mystic Point – all of which have been huge hits with our guests. We are extremely confident in and committed to the continued growth and success of Hong Kong Disneyland. 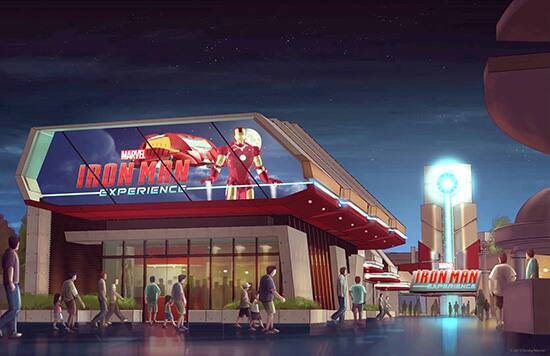 I’m excited to see Iron Man become a part of that success when we welcome guests to the attraction in late 2016. I hope this will make it to Disney World at some point too. Wow! This sounds really cool! Really love to see disney expanding its possibilities! Thank you Mr. Staggs! Thank you, Jackson! We are certainly excited about this project and are thrilled to bring the first major attraction to feature Iron Man to Hong Kong Disneyland. I think our guests are going to love it! So cool! I love the concept art. Who is the artist? Is this going to be an upgraded version of Star Tours? We will use an advanced motion simulation ride system, but this attraction will be unlike anything you’ve seen before. Just as Space Mountain is clearly different than Grizzly Gulch, the Iron Man experience will be unique and different from everything else at not only Hong Kong Disneyland, but different from anything anywhere. Very excited to see the first major Disney Parks attraction based on the Marvel characters. Also glad to see the success with continued traditional investment of new attractions to attract guests to visit the parks in the overseas parks. Any updates on similar investments at Walt Disney World’s other three theme parks following the opening of the Seven Dwarves mine coaster at Magic Kingdom next year? Any updates on Avatar that was announced over 2 years ago? Our Imagineers are fast at work dreaming up new experiences for our guests around the globe. And as you noted, that includes the largest expansion in Magic Kingdom history with New Fantasyland, where Seven Dwarfs Mine Coaster will open soon. And since you mention it, the Avatar project for Animal Kingdom is coming along very nicely. You’ll see more on that very soon! I love that we are starting to see Marvel in the parks! To everyone requesting this at WDW, please understand that Disney cannot place Marvel experiences or attractions inside WDW. They can however place them at Disneyland. I love it, but I’m curious about 2 things… Why is Hong Kong getting a headlining Marvel attraction before Disneyland in Cali??? 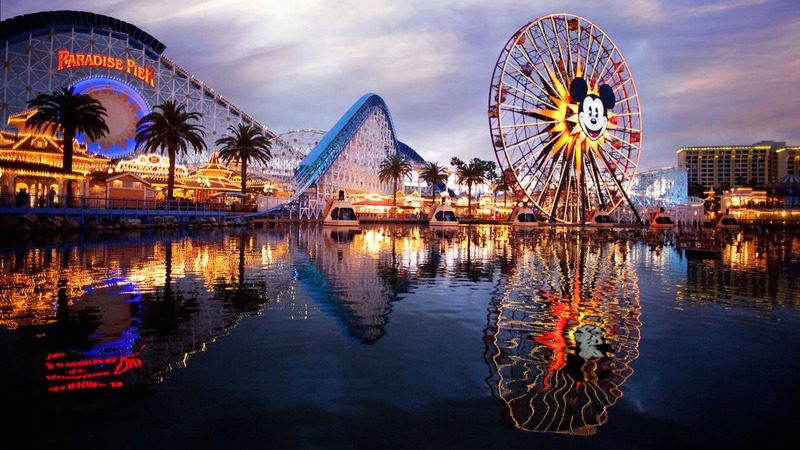 It would be awesome if Disneyland in California would get an Iron Man thrill ride. Tomorrowland could really use some new attractions! will Robert Downey Jr be reprising the role for this??? 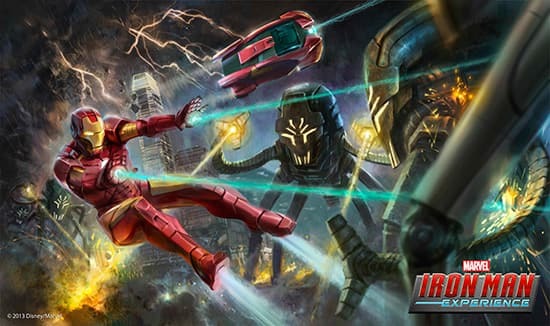 the art and design of these promotional/architectural stills is really great, it of course looks just like modern Iron Man as we know him from recent film, but the soft blocky mod building and the painted -looking style of the digital illustrations make it feel much more charming and timeless. it really looks like disney’s done a good job at making this part of marvel feel a part of the parks and not borrowed. love the middle picture as it reminds me of the Spaceship Earth mural! Its nice to see another new attraction that will be exclusive to Hong Kong. I just wish it would open sooner like in 2015 for the 10th Anniversary Celebration. Fingers crossed for a Fantasyland expansion beyond the train tracks as well.